The Queensland Flood Road Recovery was a huge task to execute both logistically and administratively. The remote locations of the project meant that communication needed to be seamless. UniPhi’s web-based portfolio management software was implemented as an electronic collaboration method, replacing traditional paper-based systems. This lead to improved contract admin procedures that saved time, resources and money and which also helped enforce the success of the project. 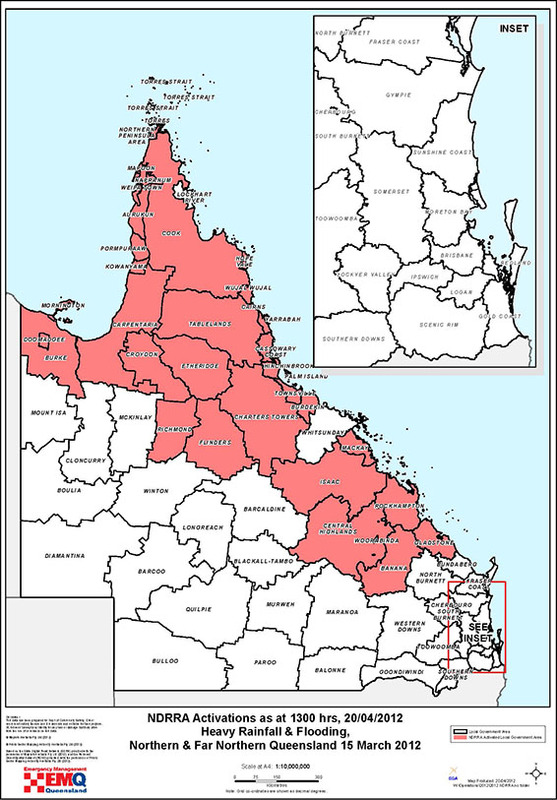 The NDRRA program is a joint State / Commonwealth disaster response and recovery assistance program, with the Queensland Government accessing the funds to reconstruct the thousands of kilometres of road damaged by a string of natural disasters to hit the state in 2010 and 2011, including devastating flooding and cyclones. As the Program Manager, SKM will be responsible for the management of construction of numerous Restoration Work Packages for each of the three regions. Packages include the reconstruction of hundreds of kilometres of damaged roads and associated infrastructure such as bridges and drainage. SKM is a leading projects firm, with global capability in strategic consulting, design and delivery, serving the Buildings and Infrastructure, Mining and Metals, Power and Energy and Water and Environment sectors. SKM were tasked with managing over $800m of road restoration in three of the remotest regions of Australia. The difficulty in being able to track a program of works across such a vast and lightly populated area is significant. Traditional project management methods included triplicate hardcopies of documents and centralised reporting meant an excel spreadsheet that was 3 months behind where the program actually was at. Deploy a web based product and estbalish 3G towers on project sites to enable project office communication back to the PMO hub based in Brisbane. UniPhi managing director Mark Heath discussed UniPhi’s contribution to SKM’s program management efforts in Queensland. “UniPhi’s integrative nature means that most aspects of the program work can be handled in one system. A single system means that communication is open and streamlined while data entered need only be entered once and used many times. Reports, documents and dashboards can be generated, and populated with this data, at the click of a button. Information can be pulled from, for example, the contracts, issue or resource areas of the application to produce an overview of the program , or a more focused update of a single package. UniPhi’s template system means that templates have been created that match Queensland’s Department for Transport and Main Roads (TMR) contract administration templates. Timelines on reporting have been significantly reduced. The manpower required to run the program of works is also significantly lower than what would be required following the traditional model of project and program management. Sinclair Knight Merz is a leading projects firm, with global capability in strategic consulting, engineering and project delivery. It operates across Asia Pacific, the Americas, Europe, the Middle East and Africa, deploying some 7,500 people from more than 40 offices.